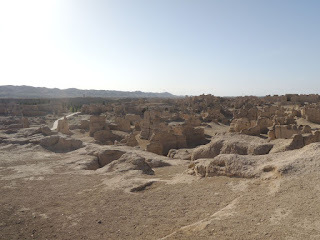 One of the first places we visited in Xinjiang was the Jiaohe Ruins, about 10 kilometres west of Turpan. 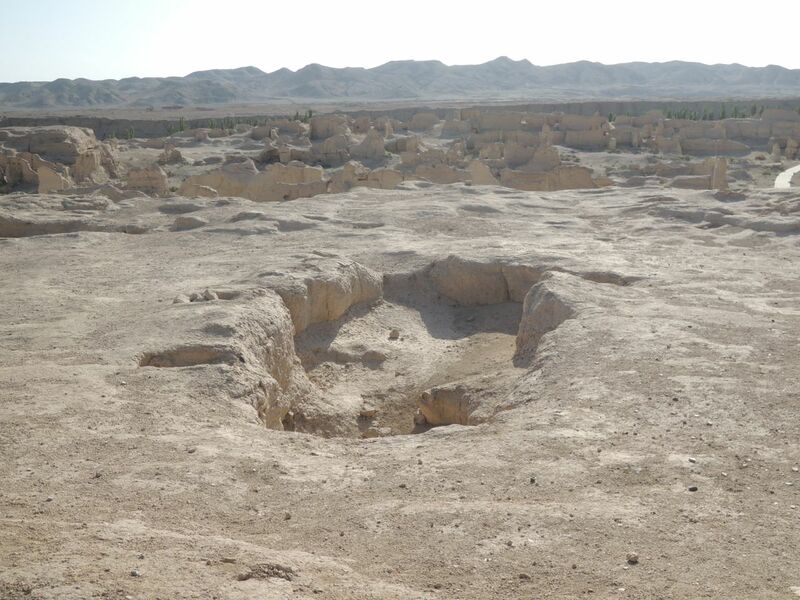 Established about 2,000 years ago, it was a town of about 7,000 people who were Indo-European speaking Tocharians who lived on a leaf-shaped plateau that was surrounded by two deep river valleys that acted as natural defenses. The river divides into two around the town, which is why the place is called Jiaohe, or "river junction". 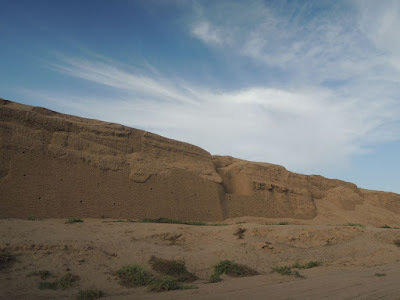 Jiaohe used to be an important site along the Silk Road, which later became part of the Tang Dynasty, while it also became a military post in the west. 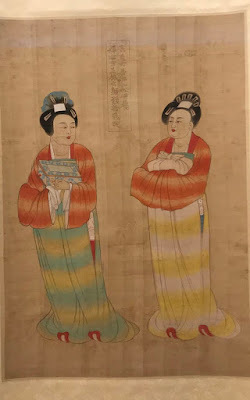 The city was considered quite sophisticated at the time, with Buddhist temples and stupas, as well as an area for government, residents and even graveyards that were further away from the city centre, but strangely there was a small cemetery for dead babies closer to the community. However in the 13th century it was destroyed by the Mongols during an invasion, and the people abandoned Jiaohe, leaving behind ruins that were only discovered later. 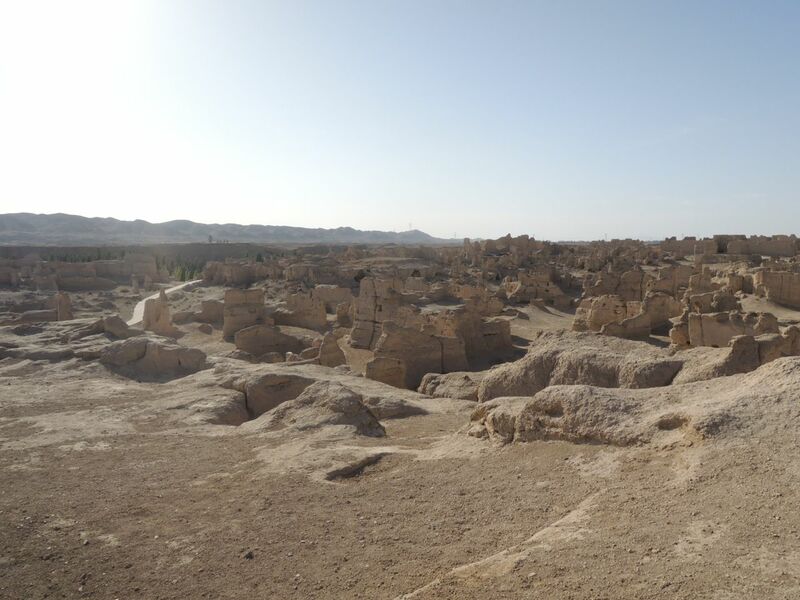 Today there are just literally ruins which people can visit, though it's impossible to see the entire site. Also after a while the areas all blur together and it's hard to know what is what. 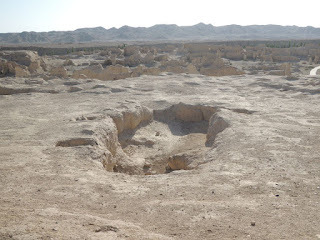 Nevertheless it is amazing to think some 2,000 years ago a community of several thousand thrived here for hundreds of years and then disappeared, leaving behind clues of their existence.